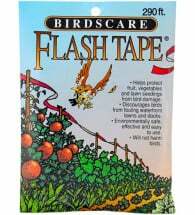 Protect crops with Guard ‘n Eyes! 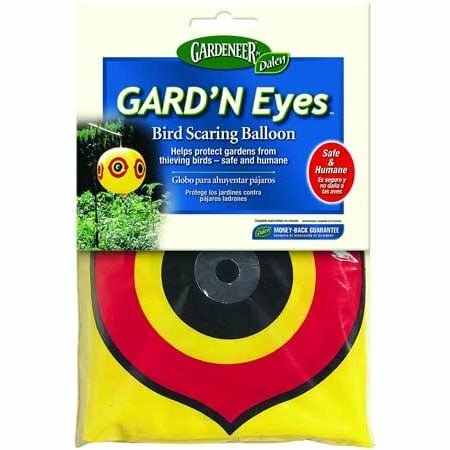 Used widely in commercial orchards and nurseries, this Bird Scaring Balloon has large predatory eyes that flash brilliantly in the sun to ward off birds. 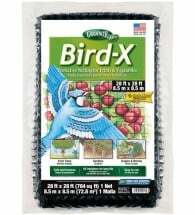 Ideal for fruit trees, berry patches, grapevines – anywhere birds pose a problem! 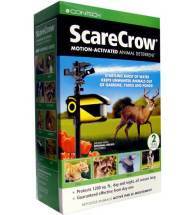 STEP 1: Hang Guard ‘n Eyes in a prominent position so birds can see it. STEP 2: Use 1-2 balloons for a small garden; use three or more for a large garden. 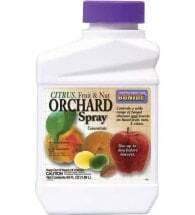 STEP 3: Install before fruit ripens and feeding habits develop. STEP 4: Move around garden every few days. STEP 5: Store indoors when the season is over to prevent birds from getting used to it.